For riders under 18 their account needs to be linked to a parent account; it is not necessary for the parent to ride. Increasingly events are not accepting entries made directly from the account of a rider under 18 years. This decision relates to Health and Safety and insurance requirements. 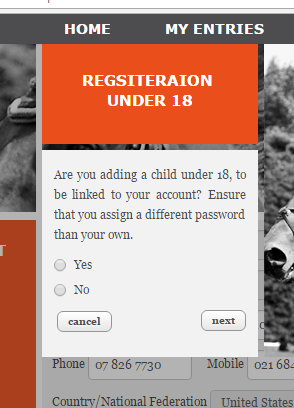 Once the parent (or another responsible adult over 18) has set up their account they can then add riders under 18 to it. Sign in and click MY ACCOUNT - top right but only visible once you have signed in. Click Register new rider under 18 and you will get a pop up with a question to answer. Select YES as you want to be able to enter the rider from your account. Once you have completed the details click SIGN IN and you will get a message Thanking you for the registration. 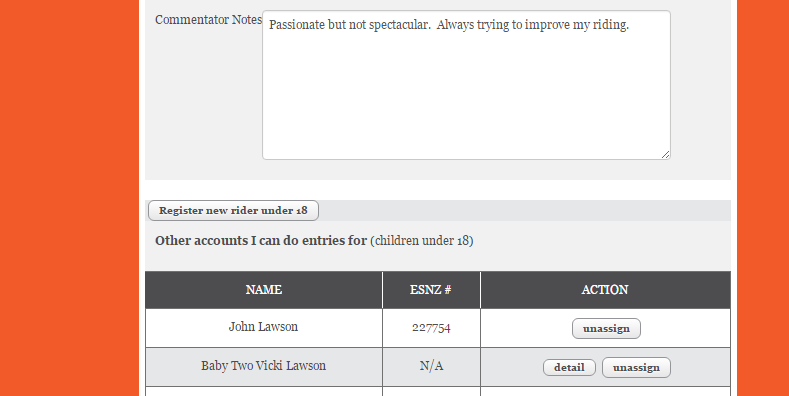 Click CANCEL and it will take you to your MY ACCOUNT page and you will see the rider listed there. If the name doesn't show try signing out and signing in again; your broswer may have cached the page so it doesn't refresh. 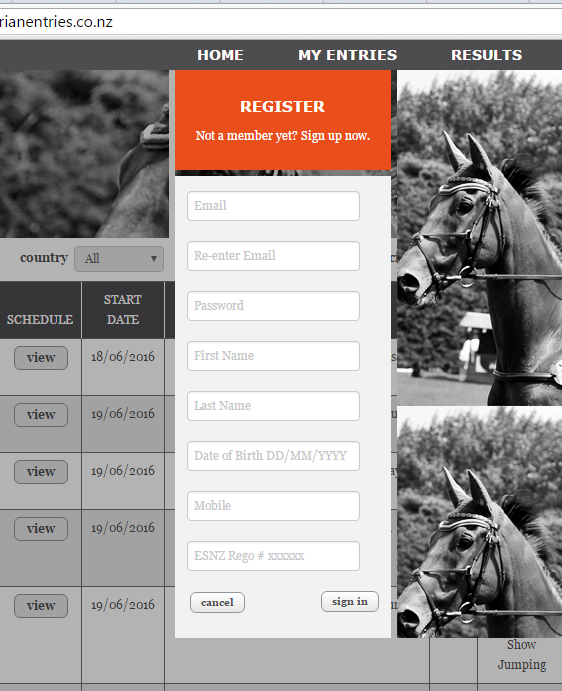 When you sign in to do entries using your password you will be able see the rider and do the entries under their name. Posted by: Vicki Lawson - Wed, Dec 14, 2016 at 1:17 AM. This article has been viewed 4167 times.